An South American Waste Treatment Service company sent information to us, GN Solids Control, and looked for the exact solution for the DAF Sludge Treatment. DAF, the full name is Dissolved air flotation, which can be widely used in sewage treatment, in the fields of industrial, manufacturing, oil & gas drilling, and marine waste water treatment. DAF systems inject micro bubbles into the waste steam which attach to the solids and float them to the surface where they are skimmed off. However one of the more common issues with a DAF system is the mess associated and disposal cost and with handling the skimmed off waste solids. 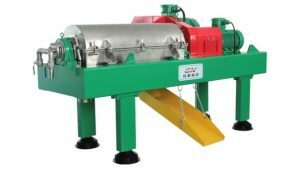 For treating with the huge amount of Waste Solids, GN company offers reasonable solution to remove the Solid (suitable for discharge), and recollect the water and oil separately–Decanter Centrifuge plus Disc Centrifuge. GN decanter centrifuge proves to be an effective and well proven equipment solution for dewatering the typically wet, sloppy solids skimmed off many DAF processes and wastewater systems. GN supplies 250 sets of Decanter Centrifuges every year, with 70% purchased by the International Market, such USA, Canada, Holland, Australia, UK, Kuwait, Russia. It is 2 phase separation, for Solid and Liquid Separation. 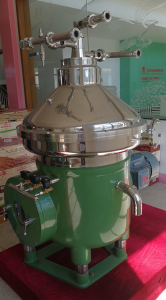 Oil, Clean Water and separate the Fine Solids, GN suggest Disc Centrifuge. The Capacity can be from 1 m3/h to 15 m3/h, Bowl Speed reaches more than 6000 RPM. Attention, the Solids Content of the feed material shall be 3% maximum. Welcome to contact us, GN Solids Control, if you have problems with treating the DAF sludge. Our professional Technical Department would offer the exact solution based on your detailed requirement. How to deal with the Water and Sludge after Flood?